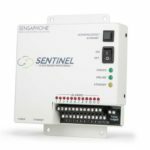 Sensaphone produces a full range of alarm and alert systems, data loggers, controllers and notifiers for use in a wide range of applications. These systems are designed for use in homes, cottages, businesses, datacenters, greenhouses, cold storage facilities, grow-ops, medical facilities and more. It seems like every day we find new applications and configurations for these systems so we thought we’d share some of the models and features. Sensaphone systems can connect by POTS (plain old telephone), cellular service, Internet, or internal networks. Alarm notifications can be sent via a customized phone call, email, text message or SNMP trap depending on the model chosen. Some systems are completely stand alone while others use a cloud service for configuration, data logging, reporting and user alarm notifications. Sensors for the various models are available to detect temperature in rooms, liquids, fridges and freezers, as well as humidity, ph levels, water levels, soil moisture, water leaks, motion, secured doors and windows, smoke, CO and more. 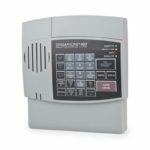 The main Sensaphone models can be found at http://www.absoluteautomation.com/sensaphone/ or http://www.absoluteautomation.ca/sensaphone-alarms-s/1867.htm in Canada. Starting with basic telephone functionality, the FGD400 and FGD800 connect to a POTS telephone land line and can monitor 4 or 8 sensors respectively. When one of the sensors goes out of the pre-set range or contact condition, they will call out to one or multiple users for notification. They can also be called remotely to check status using a voice menu. They’re aimed at indoor use for residences, cottages or small businesses. 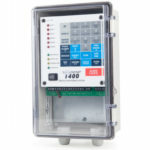 The FGD1400 and FGD1800 are heavy duty versions of the 400 and 800 models, housed in NEMA4X enclosures and with a broader feature set and sensor support. These are suitable for use in greenhouses, grow ops, farms, barns, cottage facilities, pump stations and other applications where they might get exposed to harsh conditions including snow, sleet and ice. The Cell682 is also housed in a NEMA4X enclosure, and connects by 3G cellular to the Sensaphone cloud service. 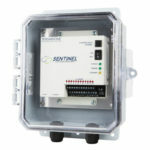 The Sentinel SCD1200 is a next generation alarm and data logger. It has 12 inputs and connects via the Internet to the cloud service that provides unlimited data logging, reporting and support for multiple users with auditing of logins and changes. The cloud service will send an alert by email or text message to one or multiple contacts, groups or Tiers based on alarm conditions set by the administrator. The cloud service is currently free! The Sentinel SCD1200-4G units are similar to the regular Sentinel except they use cellular communications instead of an Internet connection to connect to the cloud service. 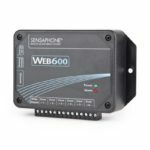 These are designed for remote locations where Internet connection is impractical or impossible but they support the same features for data logging, reporting, alarms and alerts. As if the line wasn’t diverse enough, additional models from Sensaphone include the IMS4000 system for computer rooms and datacenters, the SCADA3000 for integrated control and monitoring, the SAT4D for remote areas using a satellite uplink, and the WSG30 which is similar to the Web600 but with wireless sensors. 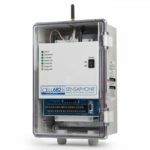 With all of these models available this exceptional line-up can be used for nearly any alarm and logging application, in just about any environment and vertical market. Absolute Automation is an authorized distributor for Sensaphone in USA and Canada, serving clients since 1995. Dakota Alert MURS Infra Red Sensors are back in stock!